Each “Try Now” edition highlights a new App Store Demo built for a top developer. Catch up on the rest here. MARVEL Contest of Champions is already a huge title in the mobile gaming space with over 180 million life-to-date downloads. The game has become a worldwide phenomenon and continues to add new characters for users to play with (most recently with Havok) and win industry awards (most recently the Tabby Awards). Now, new Android users can try out the game before installing as Kabam worked with AppOnboard to enable a “Try Now” button directly on the Google Play store. The Google Play Instant program, which was announced last year, excited Kabam for two main reasons: conversion and retention. “Intuitively, it makes sense for the instant app to positively influence those metrics,” said Mark Panelo, Senior Director of Business Development & Operations at Kabam. One challenge Kabam foresaw was creating an Instant App under the Google Play Instant file size limit (10 MB), since MARVEL Contest of Champions is a high-fidelity title. The company decided to partner with AppOnboard because AppOnboard’s platform is able to create instant apps that maintain gameplay quality (even 3D) in lightweight file sizes. By partnering with AppOnboard, Kabam was also able to keep its engineering teams focused on the development of the actual game. The MARVEL Contest of Champions instant app is averaging nearly a 50% call-to-action engagement rate, meaning nearly 1 of 2 users are tapping to install during the demo experience or on the end card. “Acquiring more quality users economically is the goal of every developer. We are hopeful that the Google Play Instant program influences that,” said Panelo. AppOnboard and Kabam look forward to continuing partnering together to create instant apps and change the ways users discover and try out new Kabam titles. 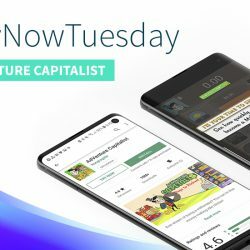 If you are viewing this on your Android device, TAP HERE to check out the “Try Now” experience (App Store Demo) yourself on the Google Play Store! Make sure you have opted-in to Instant Apps in your Google settings. Please Note: If you are using Samsung Browser or Firefox, you may need to go to the Google Play Store directly to access the “Try Now” button. To learn more on how to get started with App Store Demos, click here!